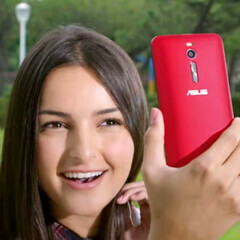 Officially announced in January at CES 2015, the Asus ZenFone 2 has several variants, from a 5-inch 720p model with 2 GB of RAM, to a 5.5-inch 1080p one with 4 GB of RAM. If you're not aiming for the high-end model, you can already buy a ZenFone 2 in the US, thanks to Amazon. Unfortunately, for now only the "international version" is available, and this does not come with US warranty. Amazon lets you buy the ZenFone 2 ZE500CL, which comes with a 5-inch 720p display (not 5.5-inch, as the retailer suggests) and 2 GB of RAM. The handset costs $219 (in white), or $229 (in black). It comes unlocked, offering LTE connectivity, Android 5.0 Lollipop with Zen UI, an 8 MP rear camera, dual-core Intel Atom Z2560 processor clocked at 1.6 GHz, and 16 GB of expandable storage space. Stock is limited, so hurry up if you think you need this ZenFone 2 in your life. At the moment, we don't know when the 5.5-inch 1080p ZenFone 2 with 4 GB of RAM will be launched in the US. In any case, this will obviously be more expensive, costing at least $100 more than the 2 GB models. Uh ze500cl is the craptastic carry over model using 32nm Clovertrail processor. Its the 5" model not the 5.5" model. Did you google the information before listing the article? Whoever buys that phone is going to be upset! Aside from the fact that it's got a 5-inch screen instead of a 5.5-inch one (article edited to reflect that), everything else we mentioned is correct. And the title clearly says it's a 2 GB RAM, 720p variant. Anyway, thanks! You guys just got me me excited about the 5.5" possibly being available :-/. Btw missing a 0 behind z256 for the Intel processor number. Same here, I´m just waiting for the model with Z3580 to be available. But I´ll probably wait for the reviews before buying. I don't know much about Intel processors.. Is this any good? The Z3580 version with 4GB of RAM can keep up with Snapdragon 805 in CPU and 801 in GPU. You're looking for a phone to "complement" your Note 4? What does that even mean? How would buying a new phone "complement" another phone? he probably means a smaller phone that he can keep in his pocket. I doubt it, traditionally ASUS phones are GSM-compatible only. GSM is reserved for networks like AT&T, T-Mobile, etc., though Verizon does utilize GSM in certain phones for global connectivity. I've seen some Verizon/Sprint phones work on non-Verizon/Sprint networks, but I can't say the same for the other way around. Kind of a letdown...I was expecting a processor on the level of the Z3745 that's in my MeMo Pad 7 ME176C (quad-core, up to 1.86 GHz), but at least it's still got some power behind it, especially with 2GB of RAM. Still a good phone for the price...though I may hold out for the ZE550ML model, which does have an Atom Z3560 (up to 1.8 GHz), 13MP camera & 2GB RAM. It costs around $300 on Amazon, so it's not too much more. This phone is going to be $150 or so in the states when it's officially released. It's about the best 5" phone for the money you can get. Considering the new Moto E is $150 and that has a small low resolution screen and no flash. No doubt that it's one of the better phones at that price (definitely better than the Moto E), but I'd say IF it's officially released here in the US; ASUS doesn't have much of a smartphone presence here in the States. Tablets and PCs are a different story, but we shall see if this phone makes it over here. It could be a potential threat to at least the mid-range and possibly some flagships, especially in terms of price. because phone manufacturers apparently think that people that buy big screen devices are also people that are spec driven. I'd personally love to have a 4.5-5in device that was top of the line in specs, because any bigger than 5 makes it unwieldy to use in some circumstances. And Im not someone with small hands, I used to love playing OG Xbox with the Duke controllers, and those things were monstrosities. Not really a good deal.. Its the same internals as 1st gen Zenfone an its more expensive..
Android Central will have 30 of the 4gig ram 5.5 screen,64 bit Intel processor. They are giving them to 30 of their members to trail in the US only. So those will be the first to be used,and the deal is they have to review the phones in the AC,Asus forums,post video,and generally tell us how they like the phone. Any captain here? Who is that lady? When ASUS coming in Cambodia.